All patients have questions about proper wound care, and finding answers is a way to ensure effective treatment. Wound care in the U.S. represents a multi-billion industry, a massive enterprise in which millions of people receive varying levels of medical treatment and attention. 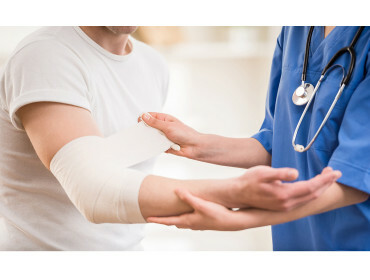 As a result, it can be rather difficult to properly comprehend the basics of the wound management field given the complex nature of injuries and their resulting side effects. When it comes to injuries, illnesses and wounds, it’s common for patients to wait it out for a while waiting to get better rather than going to the doctor at the first sign than something may be wrong. The earlier wound treatment starts, the better chances of your doctor being able to prevent it from wound infection, cutting down on clinic visits and medical bills, or even stopping the progression of the wound altogether.